And just like that it is game time here in the Bronx between the New York Yankees and the Boston Red Sox. 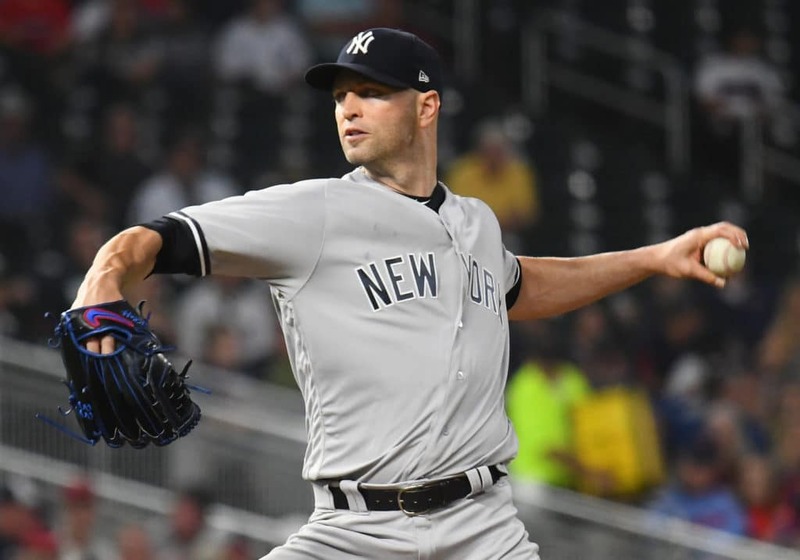 In the first of their three-game set this week the Yankees will send JA Happ to the mound looking to right the ship while the Red Sox will counter with Nathan Eovaldi. The game will be played at 1:05 pm ET, not a typo, inside Yankee Stadium and can be seen on WPIX Channel 11 in New York, NESN in Boston, MLB Network nationally and on Facebook Watch anywhere in the world. You can also follow along with the game on MLB TV, with the MLB At-Bat app and by tuning into the Yankees radio broadcast on WFAN with John Sterling and Suzyn Waldman. Follow us on Twitter, @GreedyStripes, and “Like” us on Facebook, The Greedy Pinstripes, to keep up with us and the Yankees all season long. Enjoy the game, beat the Red Sox, and go Yankees!! Hope we do better than last time against Eovaldi, Happ has been great except for 1 outing.It will make it difficult though if our offense does not start to hit and score. Stanton is slumping and needs to be out of the 2 spot maybe 4th or 5 the and Voit the wonder boy is starting to slumping.Would be nice if these guys could all hit at the same time or at least 2/3 of them. Sanchez looks like it then goes and dissapears and Gardner gone from taking close ones for strike 3 to chasing out of the zone for strike 3. CC needs to just take his knee and go home , he is done.No need to run him out there anymore this year.